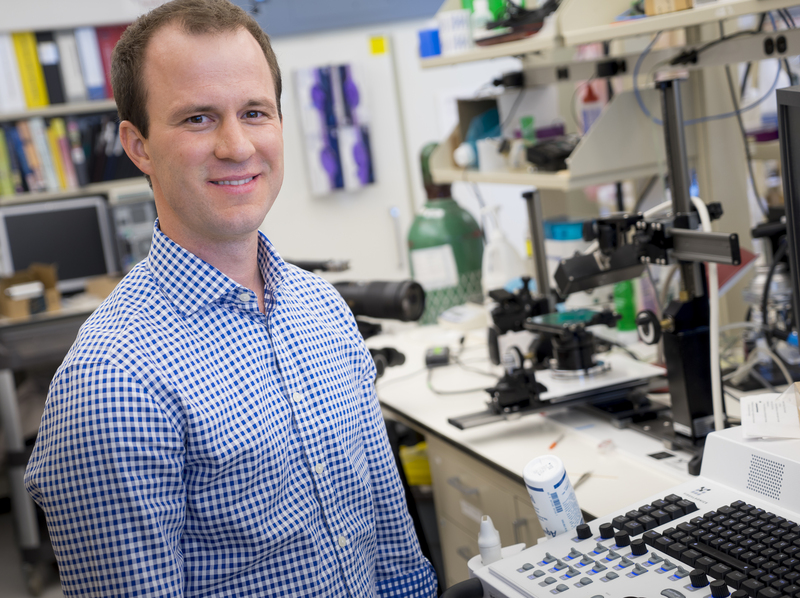 Craig Goergen, assistant professor in the Weldon School of Biomedical Engineering at Purdue University, has been named the recipient of the 2017 Biomedical Engineering Society (BMES) Rita Schaffer Young Investigator Award. The award is given to a young investigator within the first seven years of receiving their terminal degree in recognition of originality and ingenuity demonstrated in published works. The Rita Schaffer Young Investigator Award is given in honor of the former BMES executive director and was established in 2000 to stimulate research careers in biomedical engineering. Goergen is the Principal Investigator of the Cardiovascular Imaging Research Laboratory at Purdue University. His work combines advanced engineering, imaging, and biological approaches to study a variety of diseases, with a particular focus on novel tool development to understand cardiac and vascular pathologies. His group is working to study abdominal aortic aneurysms, develop novel treatment strategies, and characterize vessel composition with in vivo imaging approaches. In the spirit of the award’s namesake, Goergen has made significant service contributions to the Biomedical Engineering Society, where he has been a member for nearly 15 years. He has served as track chair, session chair, and abstract reviewer at the annual BMES meetings, while also serving on the Early Career Focus Group, volunteering as a speaker or moderator in multiple BMES webinars, and acting as a Faculty Advisor to the student BMES Chapter at Purdue University. He was previously a member of the BMES Education Committee and is currently serving on both the BMES Awards and Membership Committees. Goergen received a bachelor’s degree in biomedical engineering from Washington University in St. Louis and master’s and doctoral degrees in bioengineering from Stanford University where he used small animal imaging techniques to study aortic disease. His postdoctoral training in molecular optical imaging at Harvard Medical School focused on cardiac disease and left ventricular remodeling. Goergen will present the Rita Schaffer Young Investigator Lecture at the Biomedical Engineering Society Annual Meeting in Phoenix, AZ on October 14.